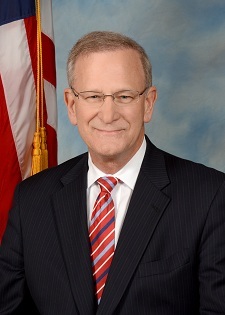 Thomas M. Hoenig is an Independent selected by Republicans in 2012 to serve as the Vice Chairman and a Member of the Board of the Federal Deposit Insurance Corporation. Prior to joining the FDIC Board, Mr. Hoenig was the President of the Federal Reserve Bank of Kansas City and a member of the Federal Reserve System's Federal Open Market Committee from 1991 to 2011. Mr. Hoenig was with the Federal Reserve for 38 years, beginning as an economist and then as a senior officer in banking supervision during the U.S. banking crisis of the 1980s. In 1986, he led the Kansas City Federal Reserve Bank's Division of Bank Supervision and Structure, directing the oversight of more than 1,000 banks and bank holding companies with assets ranging from less than $100 million to $20 billion. He became President of the Kansas City Federal Reserve Bank on October 1, 1991. Concurrently as Vice Chairman of the FDIC, Mr. Hoenig also served as President of the International Association of Deposit Insurers (IADI) from 2015 to 2017. Mr. Hoenig is a native of Fort Madison, Iowa. He received a doctorate in economics from Iowa State University.